I’ve been playing MMO’s for 12 years now. I guess that answered the question in the title. You can leave now. Or you can stay to see why I feel like a noob. Pets in WoW don’t act like Companions in SWTOR do. They don’t just hitch for a second and then teleport to your side if you jump down a cliff. 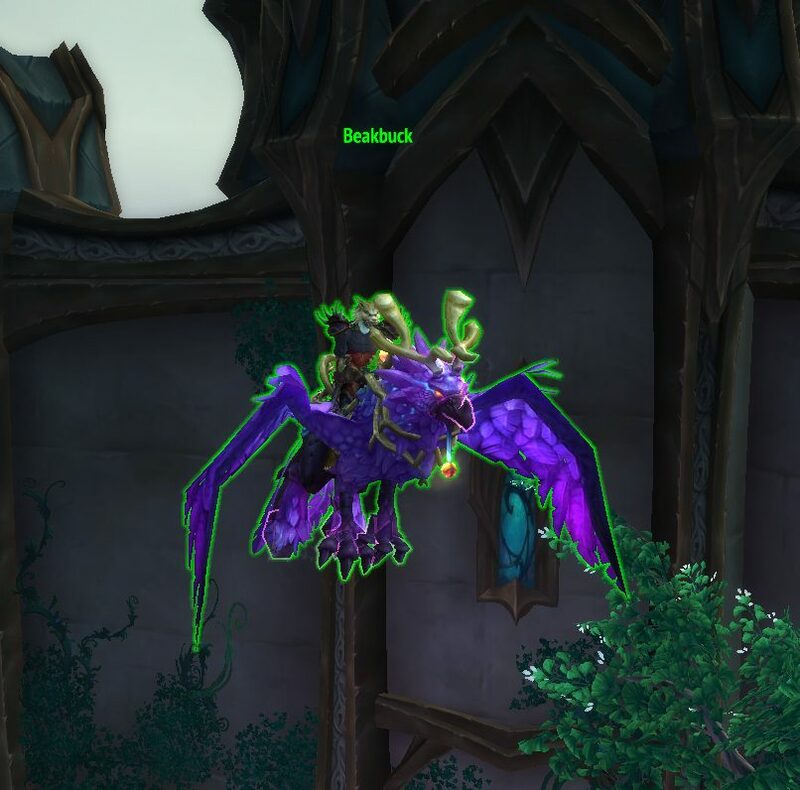 Pets in WoW take the scenic route, scouring what seems like the ENTIRE DUNGEON pulling every conceivable mob, running up to their oblivious master, and plopping them at your feet like a happy golden retriever puppy with a dead bird. Since I’ve spent most of my time leveling up either in Battlegrounds or in dungeons, I learned this wonderful fact pretty early on. Ever since, I’ve been careful to not pull the dungeon when jumping off a cliff. Except for the other day. The other day I failed. I pugged into a Blackrock Caverns at level 81, which is fun for me, since I play Hearthstone, and any references that have been made have been lost on me this whole time. So I am enjoying the references in the reverse direction from anyone else. Halfway through the dungeon is a a drop that didn’t look like a drop because the terrain made it look like a ramp. Before I could do anything, my pet had gone off in the other direction, pulling a group just as the tank pulled the next boss. It didn’t end well. Then, not 10 minutes later, I swing a bit wide in the same stupid dungeon, just not paying attention, and I face-pull another group. I’m surprised I didn’t get kicked right then and there. Could have been my profuse apologies. Or my begging for forgiveness. Or maybe they could sense how embarrassed I was. Oh yeah, and I move a lot even when I do dungeons, because it is a twitchy habit I learned from PvPing. This caused me to die to a debuff that did more damage the more I moved. Lovely. Looking like a noob aside, I really don’t like dying. I had to be rezzed three times. That is almost more than I’ve been rezzed in the entire time I’ve done dungeons in WoW put together. I think the tally before then was five times total. Did I mention I was embarrassed? So yeah, even though I feel like a old, wizened pro at this point, sometimes you can still have bad days and off moments. What about you? Have you had any facepalm moments that made you question your noobiness? Let me know on Twitter or in the comments below! 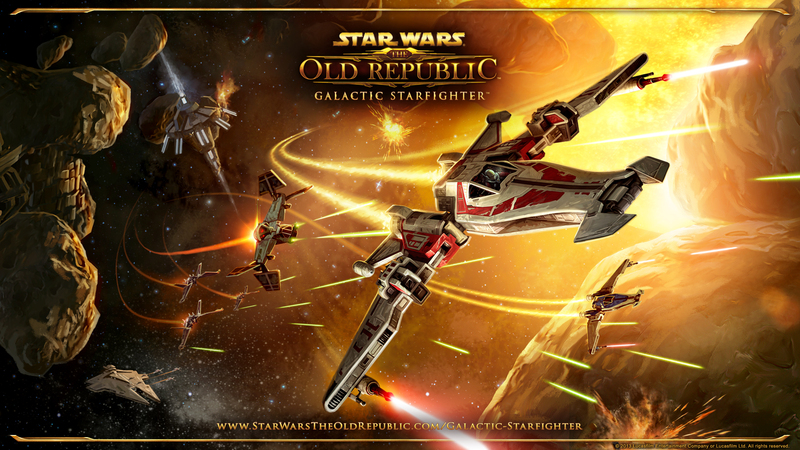 Will “Galactic Starfighter” be an actual expansion for SWTOR? Idiots are everywhere. Politics (both sides), grocery stores, toll-booths, police cars (sometimes in the front, sometimes in the back), movie theaters, and at the Rockettes Christmas Special in the seat right next to me whistling with the music (whistling? REALLY?!?). The last place I want to see idiots is in a group with me when I am in a Warzone. Unfortunately, I like to play for the Republic. You see, on the Imperial side, I think there are people that really love PvP. They spend a good amount of time there, they focus, and they use strategy. They learn the playing field. I think I’ve seen more Imps go straight for a health pickup than I have Lightsiders. They use teamwork and determination to excel at whatever Warzone they are in. More on point, last night Chipchops and I were playing with our smugglers in an Alderaan Civil War. We haven’t played together before, but we are both pretty experienced in PvP. When we started off, we had a fairly decent plan: take left and right turrets and hold them. Simple, easy to remember. The middle turret is too difficult to take and hold, due to its proximity to the respawn areas. Chipchops and I go secure the left turret, and where is everyone else? In the middle, getting their butts handed to them by the sorcerers. When asked why they weren’t going for the right side, they responded with some interesting quotes. I think they MIGHT just have been trying to insult me. So LazyGuy starts emoting at people at the left turret, and I get fed up with holding it, like a good sniper should. I decide to go get my piece of the action because the Imps are comfy just killing the one or two stragglers that aren’t at the left turret. I died several times, but I still got up to the turret and was in the process of using it when I got mobbed. A little backup and we probably could’ve taken it. But it was too late anyway. One, I would clean their clocks at Texas Hold ‘Em. Two, I feel that by queuing up for a Warzone, you are signing a contract saying “I will fight for the Republic.” By doing nothing, you are making it impossible to win for those that want to win. Yeah, it is just a game, but a Warzone has an inherent competitive factor to it. You want XP? Go level. Don’t PvP. I don’t think it is unreasonable to expect my teammates to try to win in a competitive game. I come from LOTRO; we play nice there, but we still expect people to pull their weight in a group. If you don’t want to play by the rules, why are you playing? Rewards for winning Warzones have been increased. Warzone completion rewards have been decreased. Maybe this will solve the “I don’t have to try to get good rewards” syndrome with which we on the Republic side seem to be plagued. One can only hope.